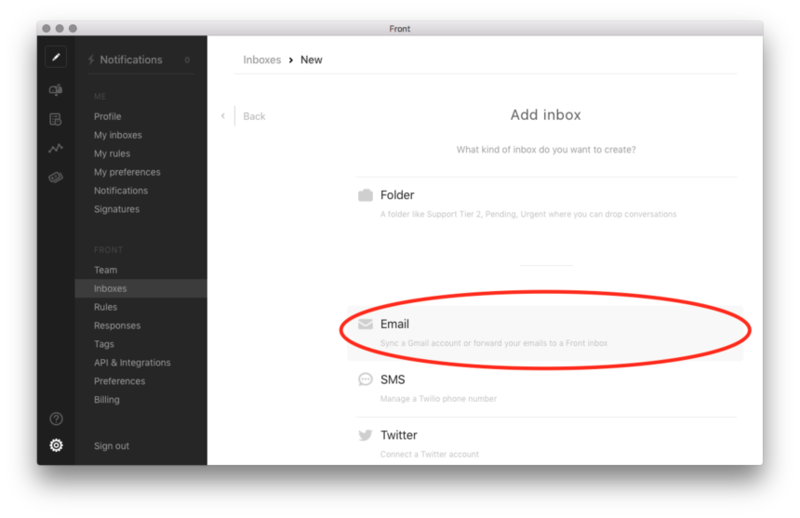 For all non-Gmail accounts, you will have to use the forwarding address we provide in order to redirect your emails. 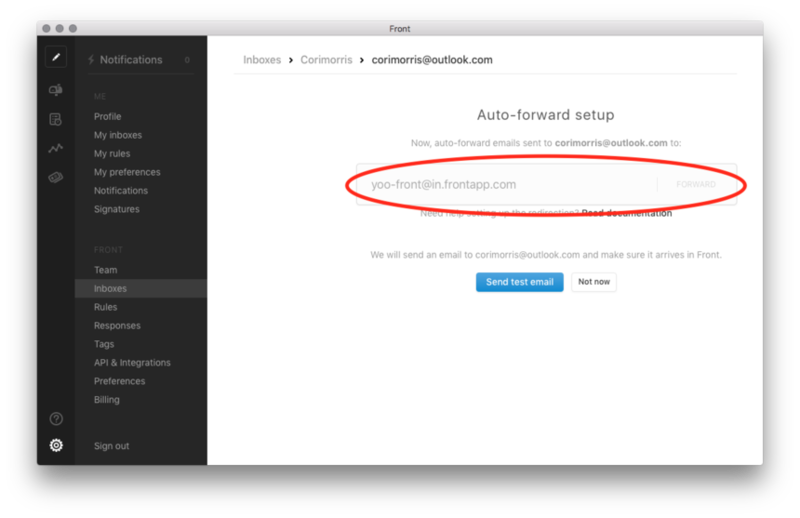 To get the forward address, follow these steps. Go into your Settings, select Inboxes, and Add a team inbox. You can also select My inboxes, and Add an individual inbox. Below is a list from other popular providers that explains how to redirect your emails. 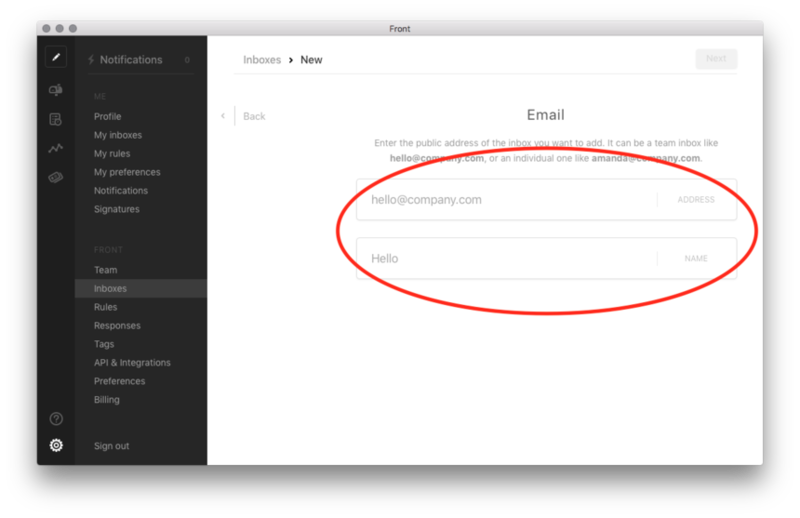 Select your provider, and follow the instructions to redirect your emails to Front. 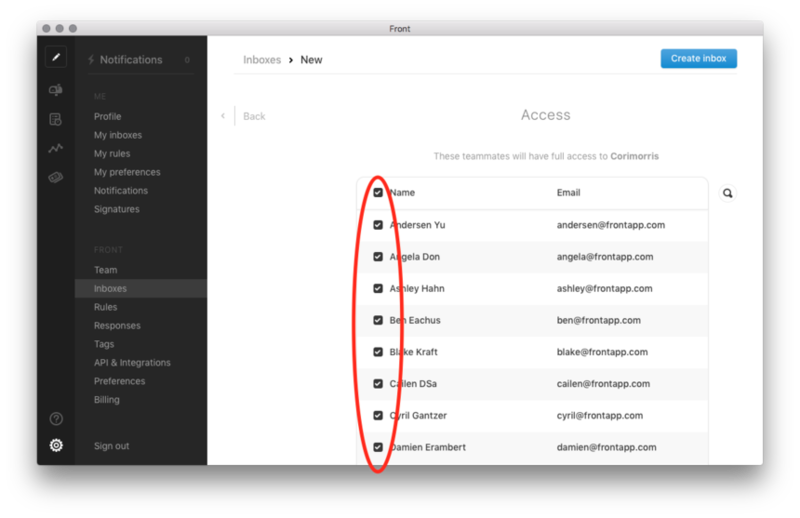 If you don't see your provider, please send an email to team@frontapp.com.